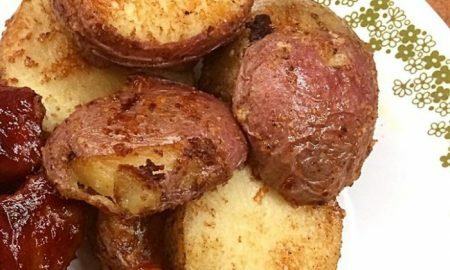 I have tried a lot of good roasted potato recipes, but I keep coming back to this one. I’ve never found one I like better! These are crispy on the outside, and soft and creamy on the inside. Preheat oven to 400 degrees F (200 degrees C). Spray a 9×13-inch baking pan or cast iron skillet with cooking spray; pour in about 1 teaspoon vegetable oil to coat the bottom.